Facebook pivots to privacy. This Wednesday, Facebook CEO Mark Zuckerberg released a 3,200 word post outlining Facebook’s new privacy framework. Zuckerberg committed to establishing end-to-end encrypted messages, building interoperability across Facebook’s many platforms, and ensuring secure data storage. As a result, the company will transform from a public “town square” to a “digital equivalent of the living room” where users can connect privately one-on-one. 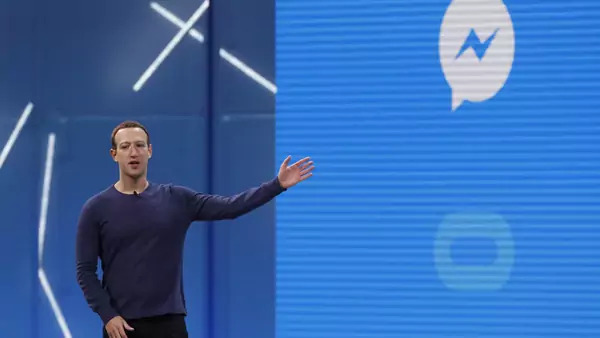 The announcement follows a series of recent privacy scandals surrounding the company, and while Zuckerberg is optimistic about the change, critics are skeptical. There are questions about the company’s commitment to the privacy manifesto, and it is unclear how Facebook plans to monetize privacy. Former Facebook Security Officer Alex Stamos also highlighted the challenges of complete encryption which hides “entire classes of scandal” from the media, and creates a competitive disadvantage for the company. Big Tech goes on the offensive. This week Big Tech faced a wave of new regulatory proposals. In France, Economy Minister Bruno Le Maire announced a plan to tax tech companies generating more than €750 million in revenue globally and €25 million in France. The tax will require companies such as Facebook and Uber to pay three percent of its French revenue in taxes. In the United States, Head of the House Antitrust Subcommittee David N. Cicilline proposed imposing a version of the Glass-Steagall rules—which forced banks to separate commercial and investment banking—on large tech companies. His proposal adds to growing calls in Washington to mitigate the market power of companies like Google and Amazon, and follows the Federal Trade Commission’s announcement of a new task force to review competition practices in the tech industry. In response, companies like Amazon are strengthening their lobbying efforts. Amazon lobbied more government entities than any other tech company in 2018 and its aggressive new strategy includes wooing antitrust enforcers, muzzling uncooperative trade groups, and campaigning for government contracts. China versus the United States. The Wall Street Journal revealed this week that Chinese hacking group Leviathan (also known as APT40) targeted twenty-seven U.S. universities including Duke University, MIT, and the University of Hawaii. The attacks were aimed at institutions with outstanding research programs in underwater technologies, many of which maintain strong ties with the U.S. government. Leviathan’s continued cyber-espionage campaigns against key U.S. naval technology actors led experts to attribute the attack to China. In other China-related news, the Huawei saga continues. The firm sued the U.S. government on Wednesday for restricting the use of Huawei products. Huawei argues that congressional restrictions violate the constitution’s due process clause and vesting clause. Guo Ping, Huawei’s chairman, claimed that the suit was “a proper and last resort” and that Congress had “repeatedly fail to produce any evidence” to justify its ban on the use of Huawei products in the U.S. The UK’s cyber deterrence strategy. A month after France unveiled its offensive strategy in cyberspace, British Foreign Secretary Jeremy Hunt proposed a “doctrine of deterrence” to protect against election interference in the United Kingdom. Speaking in Glasgow, Hunt emphasized the importance of protecting elections, stating, “the risk is that after just a few cases [of interference], a pall of suspicion would descend over a democratic process…the damage would be difficult, perhaps impossible, to repair.” The British response will include the public “naming and shaming” of any perpetrator, exposing how the action was carried out, and prosecuting those responsible to ensure adversaries believe they run a “credible” risk of facing economic and diplomatic penalties. The government is also increasing the number of cyber-focused diplomats working with governments globally to combat election interference. India’s nationalist tech policy creates opportunity for Reliance. India’s government is cracking down on foreign tech. In February, the country proposed a new censorship and privacy regulation that would force companies like WhatsApp to insert backdoors for Indian authorities, weakening end-to-end encryption. In the same month, the country’s new e-commerce rules took effect. The restrictions, designed to help local retailers, targeted Amazon and forced the company to pull thousands of products from its digital shelves in India. As foreign tech companies face protectionist policies, Indian companies find opportunity. Over the past two weeks, Mukesh Ambani, India’s richest man and chairman of Reliance, made investments in five tech companies. As nationalism is on the rise in India and domestic tech lobbies oppose the entry of international firms, Ambani hopes to emerge as a leader in India’s digital economy.